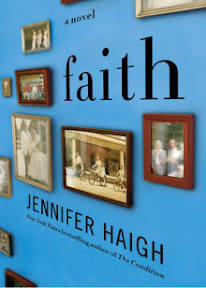 Faith [Book Review] – my books. my life. It is 2002 when Sheila’s brother, Art, a Catholic priest, becomes caught in the fury of child molestation accusations flying through the Boston Archdiocese. Their brother Mike is furious, quick to assume Art is guilty. Their mother never doubts his innocence for a minute. Sheila, quick to jump to Art’s defense at first, begins to doubt him. Art himself is lost without his church and heartbroken over the end of his relationship with the boy and his mother who have become his accusers. The family must look deep into their past and finally learn to communicate to get through this difficult time. Faith shows that Haigh is not afraid to take a Big Issue and dissect it from every angle. We all remember 2002 (at least if “we” means all of us Catholics). Priests were being accused left and right of molesting children, and the Boston Archdiocese was the center of those accusations. It was a horrific time for so many people. But what was it like to be a priest accused of such a terrible crime? And what was it like to be his family? And what could have possibly happened in that man’s life to get him to that situation? These are the things Haigh shows us. And she does not shy away from anything. There was really some masterful storytelling here. The truth comes together slowly, but in such a way that makes you keep going to find it. The characters are complex and full of flaws, even as they grow and develop throughout the novel. Having been raised in an Irish-Catholic family with Boston roots, there was so much about this book that was familiar. From the big things, like the feelings the characters have toward the church and the beliefs they struggle to reconcile, to the little things, like the Mary-on-the-Half-Shell statue every family had in their yard (including mine). It made the book very personal. When Mike’s wife criticizes practically everything about being Catholic, I got defensive, despite the fact that I haven’t been to mass since Easter. I think Haigh grasped what exactly it is to be Catholic and what exactly it is that makes others fail to understand it. But I don’t think you need to have any ties to the Catholic Church to enjoy (this seems like the wrong word here) this book. I think the basic struggles, however dissimilar the details are to our own lives, are relatable. Family and faith and how to deal with those two things are struggles that we all face. The audio production was phenomenal. Therese Plummer did a wonderful job narrating (and actually managed to find a Boston accent that didn’t make me want to scream). I HIGHLY recommend reading this one in audio. Sandy had previously told me that this book was amazing, and we were trying to get our book club to choose it. It sounds like there is a very tight and suspenseful plotline in this one, and I am glad to hear that it was so realistic for you. This was a great review, and I am really eager to try this one out. I will have to let you know what I think! I think it would have made an excellent book club book. I have heard such amazing things about this book! It looks like a must read I need to add to the list… as if I didn’t have enough, lol. I really don’t know much about the catholic church so I could see where I’d miss out on appreciating that part of it. I don’t think you lose anything by not knowing much about the Church. It was just interesting for me since I do. Does that make sense? This really was an amazing book, whether you are Catholic or religious at all. You explained it perfectly when you said it unwound slowly, the storytelling taking its time and revealing facts piece by piece. When I finished it, I had to sit down for awhile and give it some thought. Lots to talk about if a book club read it, but Heather and I couldn’t convince them.